Balloons are fun! But Percy has a small problem . . .
. . . and to solve it, he'll need a really big idea! 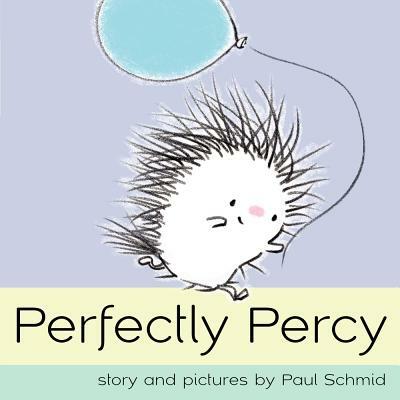 Paul Schmid, the author and artist of Hugs From Pearl, presents a story about an adorably prickly character with a big heart. Percy shows that there is no problem too big for a plucky porcupine to solve! Paul Schmid's father, grandfather, and great-grandfather were all artists. He is the author and illustrator of A Pet for Petunia, Petunia Goes Wild, and Hugs From Pearl and the illustrator of The Wonder Book by Amy Krouse Rosenthal. In 2010, Paul was awarded a monthlong fellowship with Maurice Sendak. He lives in Seattle with his wife, Linda, and their daughter, Anna.